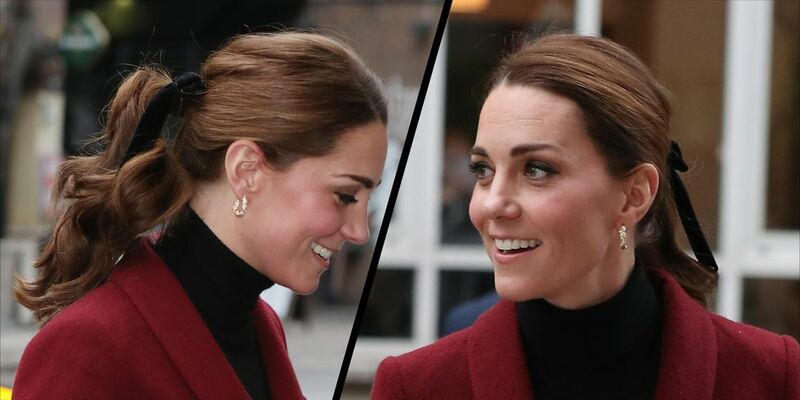 The Duchess of Cambridge stepped out in the capital today on a visit to the neuroscience lab at UCL. While she opted to wear an old favourite Paule Ka skirt suit, she paired it with a fresh new hairstyle; a pretty wavy ponytail dressed up with a black velvet bow. 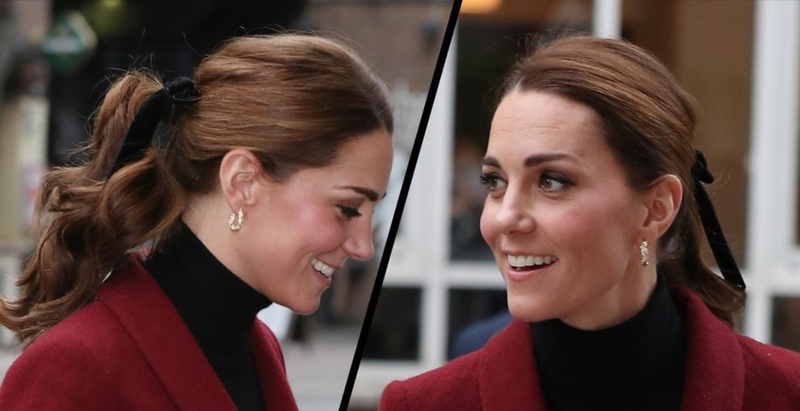 A literal nod to the trends, Kate’s hairstyle reflects fashion’s love of bows this season, as they decorated sleeves, waists, necklines and the hairstyles on the catwalks of London Fashion Week and beyond. 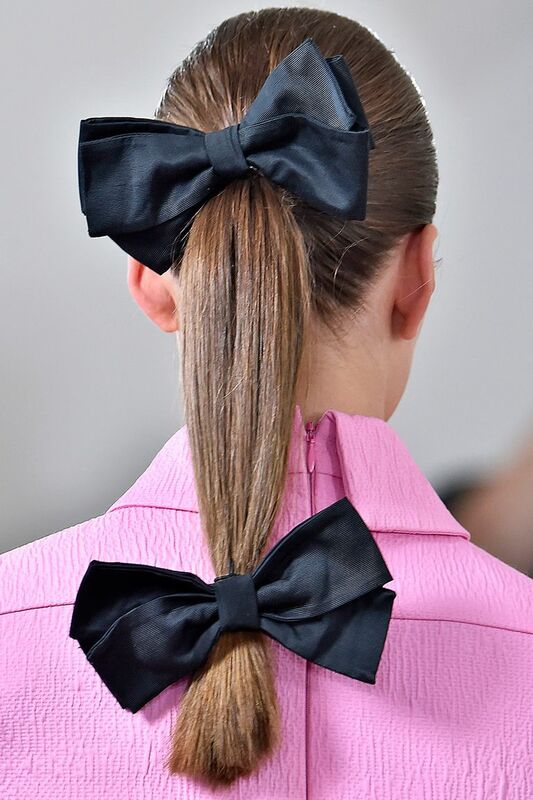 One of our favourite takes on the trend was at Emilia Wickstead where models wore double bows in their ponytails; one at the base and one at the tail for a look that was charming and chic in equal measure. 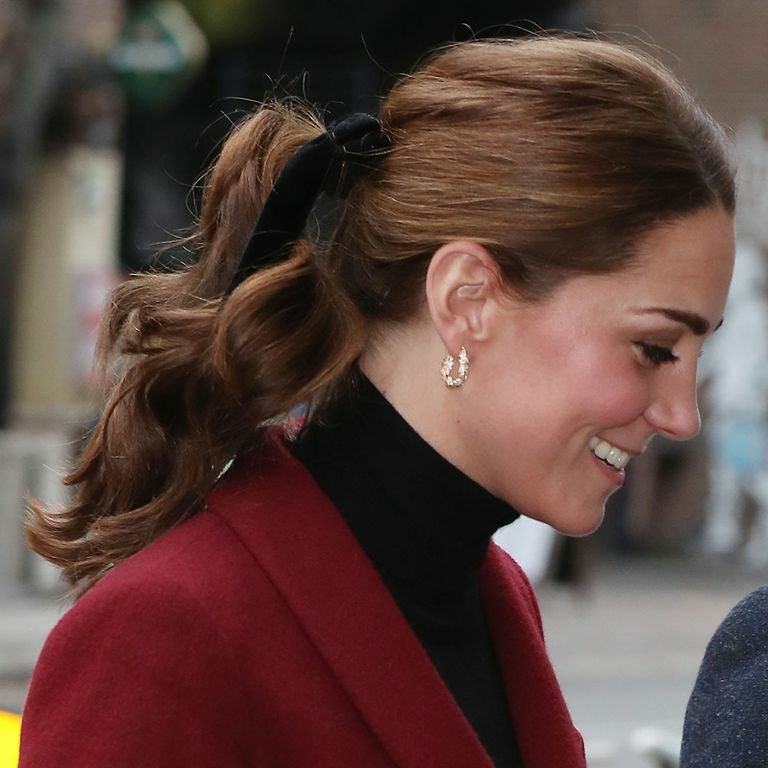 While the Duchess’ look is more classic, less high-fashion, her simple black velvet bow elevates her outfit into one that feels current, cool and covetable. We’re definitely trying the trend for the impending festivities.